I know the anime doesn't generally get discussed within this part of the forum, but I had to come and post the latest Japanese poster which, as you can probably tell from the title, seems to be referencing a certain type of TV programming. So yeah. Pokémon Rangers can now realistically be a thing. 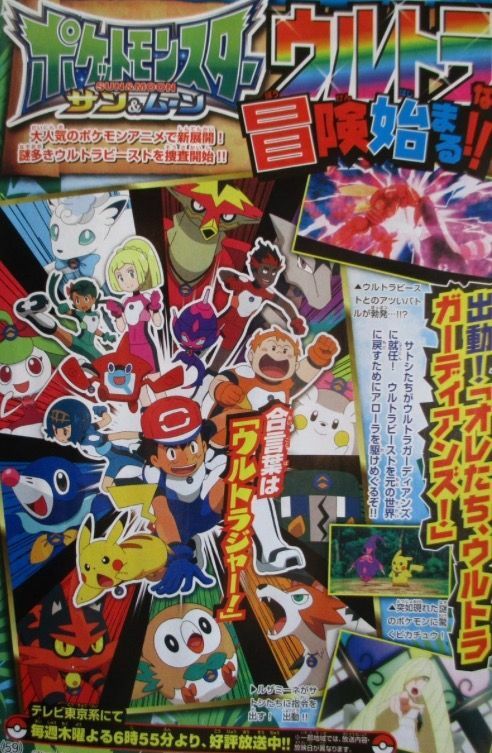 Now all that's needed is for the dub to call Sun and Moon's second season Ultra Guardians or something similar and the comparision is complete. Hopefully can go back to being more serialised. Too episodic right now. If they move away from the more slice-of-life stuff, then I can see it become that bit more serialised again. Hopefully this delivers. So there's no new pokemon ranger game? Not unless they announce a tie-in to this where the Ultra Beasts are the bosses you need to capture and defeat.